Just as a chain is only as strong as its weakest link, armored vehicles are only as safe and secure as their most penetrable areas. In a regular vehicle, the fragile windows are the most obvious weak point. 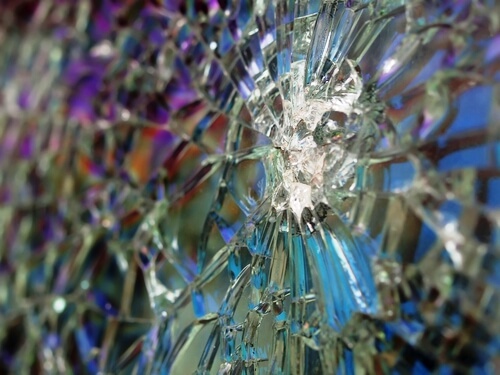 To serve in an armored car or truck, glass must be strong enough to resist gunfire as well as blunt impacts from weapons like bats and rifle butts. Bulletproof glass – that is to say, glass that can never be penetrated – doesn’t really exist. Therefore, it’s more proper to speak of bullet resistant glass. Different kinds and thicknesses of bullet resistant glass are manufactured to protect against different levels of threat. Bullet resistant glass is tested and rated according to the kind of fire it will withstand. Level I Bullet resistant glass is thinner and will stop small-arms fire such as rounds from .22-caliber and 9 mm handguns. At level VIII, bullet resistant glass can be four inches thick and provide protection against .50-caliber armor-piercing rounds. There are different testing standard and methods, but the protocol developed by the U.S. National Institute of Justice (NIJ) requires a sample of bullet resistant glass to stop five shots to be awarded certification https://www.armoredcars.com/glass-certification-faq.php. Sometimes referred to as “transparent armor,” bullet resistant glass is made by layering together sheets of laminated glass and plastic films. At least two different types of glass are usually used. The plastic film interlayers are made from advanced polycarbonate materials that deform slightly on impact to absorb the energy from a speeding projectile such as a bullet. The plastic layers also prevent penetration by instruments such as hammers and clubs. Bullet resistant glass serves not only as material for armored car windows, it’s also used in buildings that require extra security. The large drive-up teller windows that many banks have are made from bullet resistant glass. As with the protective glass used in building construction, bullet resistant glass installed in armored vehicles is extremely heavy, making it more difficult to transport and install. This specialized glass is one of the components that adds to the expense and weight of an armored car or truck, but it’s obviously worth the extra money and trouble to afford a high level of protection to the vehicle’s passengers. The Armored Group LLC has been manufacturing state-of-the-art armored vehicles for military, government, law enforcement, NGO and private clients around the globe for two decades. We make and service armored cars, vans, trucks and SUVs, and we also deal in quality used armored vehicles. We have the vehicle or vehicles to suit your security needs! Call the experienced professionals at The Armored Group LLC at 1-602-840-2271.